Most popular Christmas poem in the English language? 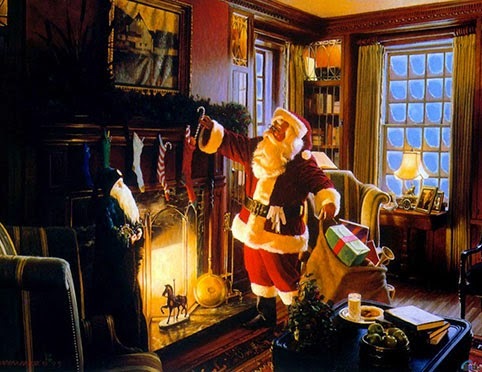 "A Visit from St. Nicholas", also known as "The Night Before Christmas" and "'Twas the Night Before Christmas" from its first line, is a poem first published anonymously in 1823 and generally attributed to Clement Clarke Moore, although the claim has also been made that it was written by Henry Livingston, Jr. The poem, which has been called "arguably the best-known verses ever written by an American", is largely responsible for some of the conceptions of Santa Claus from the mid-nineteenth century to today. And no doubt, either, as to the most popular reading. Take it away, Sachmo.